Christmas is the perfect opportunity to spend quality time with family! 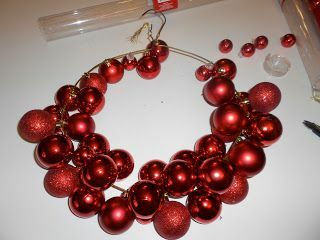 So, what better way to spend it than to decorate your home with these fun and stress-free Christmas crafts. Your children will love decorating your home with these handmade ornaments, which also make beautiful keepsake gifts for loved ones. Here are our top 5 Christmas DIY home decoration ideas to inspire you and your loved ones to create beautiful homely decorations. There is nothing more delightful than having the sweet spiced smell of gingerbread filling the house to get everyone in the festive mood. These simple decorations can be cut into any Christmas shape of your choice and iced to perfection. If they haven’t been eaten straight from the oven, they can take pride of place on the Christmas tree. These gingerbread biscuits will keep over the festive period to be enjoyed long after the tree has been taken down. The excitement of waking up on Christmas morning to find an overfilled stocking resonates with every child… or every adult-sized child! 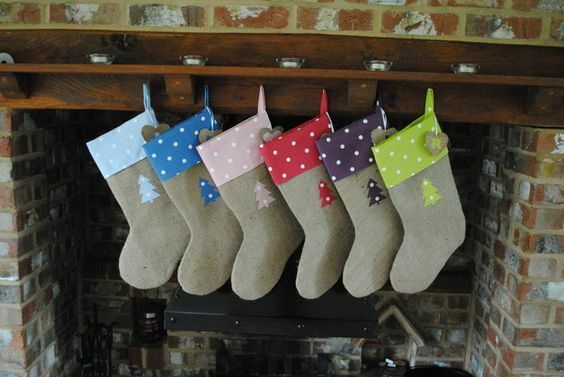 The kids will enjoy designing and making their own individual stocking to hang up on Christmas eve. They can be made to any size from a range of materials, with any design your kids will want on them too! Christmas stockings also make a thoughtful gift that friends and family will adore. 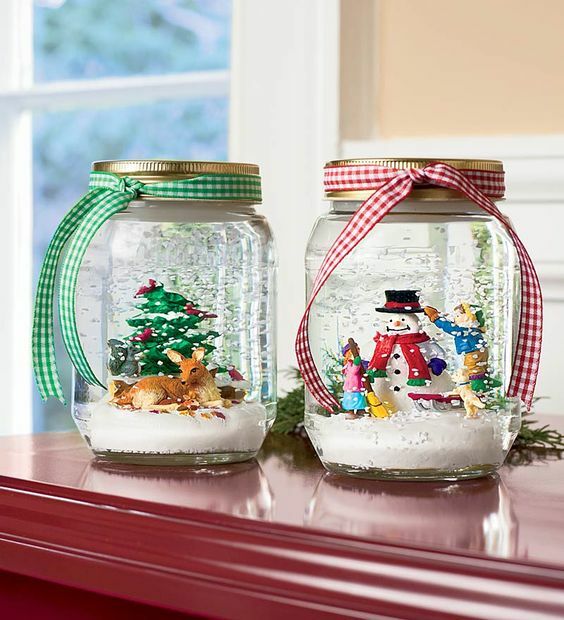 Snow globes capture a festive scene that can be kept and remembered forever. A simple and cost-effective project for children to have fun with and craft whatever they want in them. They’re simple and easy to make. All you need is: an empty jar, water, glitter, glue and whichever figurine you want in your snow globe! Your kids can make as many as they like to add to the festive fun around the house too! The Christmas centrepiece (besides the turkey at the table) is the tree itself! 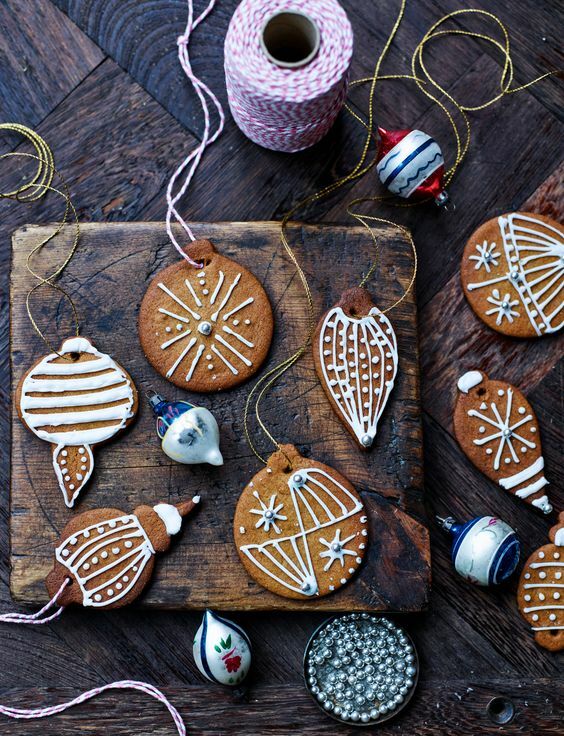 Why not add a cute personal touch to your Christmas tree by making your own decorations? 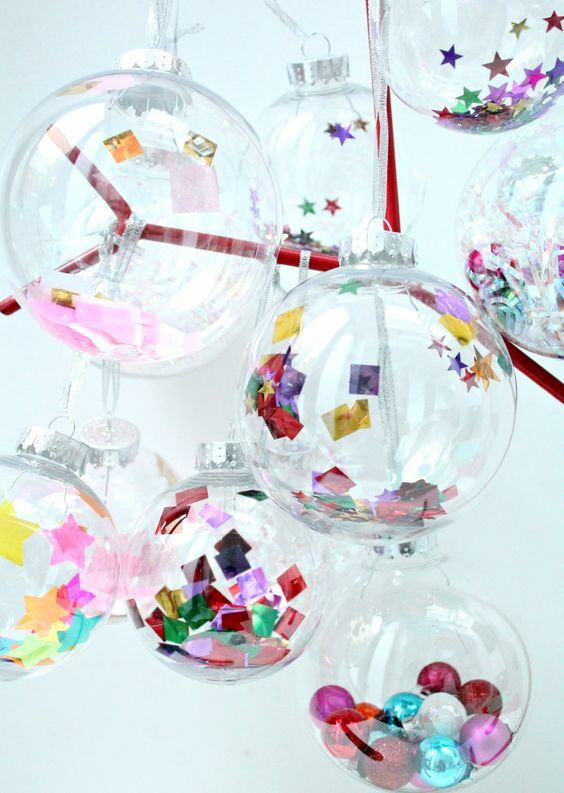 These can range from making your own baubles with empty plastic baubles from the craft shop to paper ones. Alternatively, if you’re planning on going for a wonderful winter walk, you can pick up some pine cones to add as decorations. Along with some cinnamon sticks to add some spice and tradition or maybe some bow ribbons for a cute and cosy look on your tree – the ideas are endless! They can sparkle, jingle or just be plain & pretty – a handmade Christmas wreath can add a jolly touch to your home this festive season. It’s easy and fun to make! All you need is a coat hanger or paper plate as the base, and you can add whatever you want on it to create a beautiful bespoke wreath. Old Christmas decorations that don’t make it onto the tree can be used on them. This way, they aren’t taking up space by being locked away this year. They can be personalised to whatever you fancy placing on the door and can be used again for next year. It’s a fun and eco-friendly activity you can do with the kids to add a touch of joy to your home! To make room for family and friends coming over this holiday period, contact us for more information. You can store your valuables safely at any of our lovely and easy accessible locations. You can also get a quote straight to your inbox to save you time this busy holiday period. Make room for what really matters this Christmas.